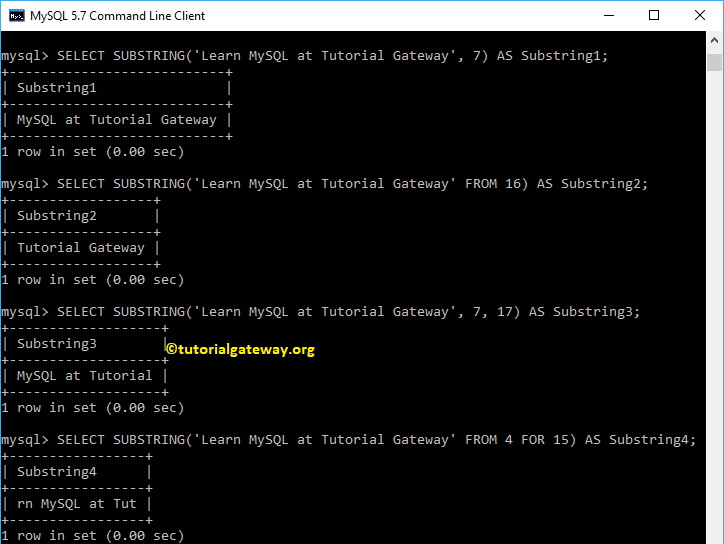 The MySQL Substring function is one of the String Function used to return a sub string (specified number of characters) from a given string. 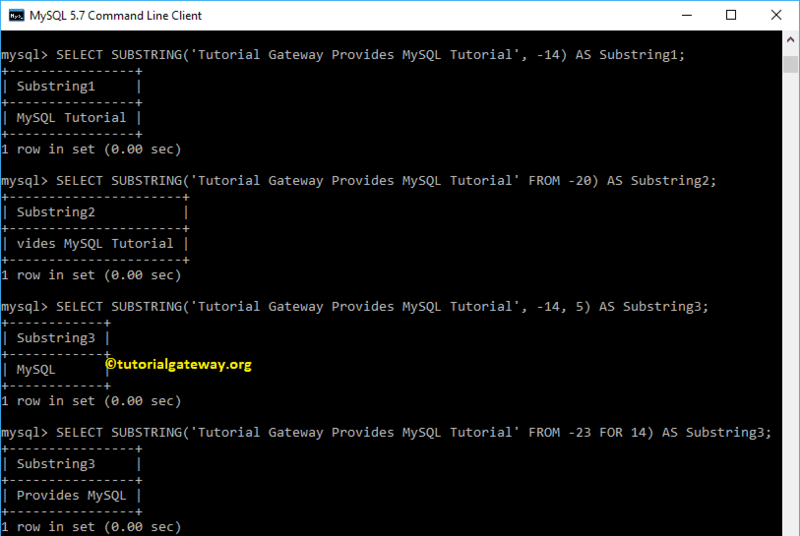 In this article we will show you, How to write Substring in MySQL with example. 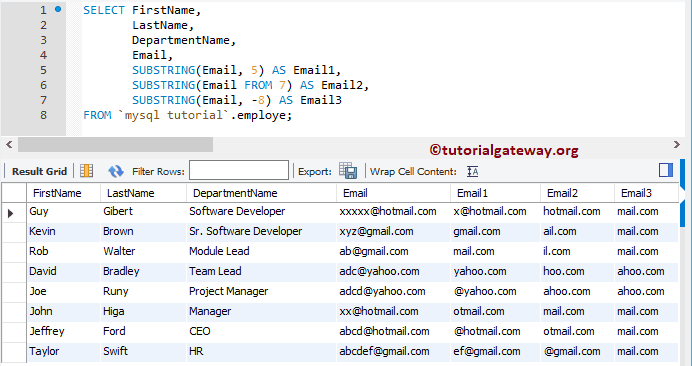 String: A valid string or expression from which to want to extract sub-string. Position: From which index position you want to start selecting the characters. Length: Number of characters (character length) you want to extract from String. The Substring function in MySQL allows you to use negative values for the Position argument. If you use negative values, then substring will look from right to left (or end position to start position). 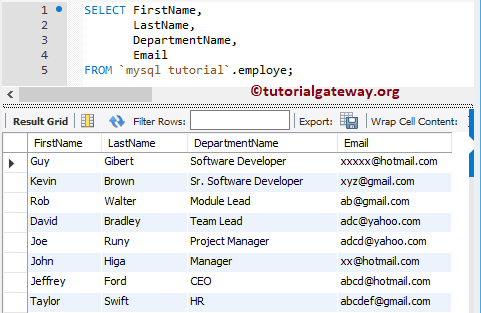 The following query will show multiple ways to use this Substring function. In this example, we will use negative values as the position argument in a substring function.